Explicit Podcast status update live from the car - Denise in recovery. A quick update from the car about Denise’s teeth, tomorrow’s podcast guest, my fatman food struggle and more! AJ Mitchell the 17 year old kid? You sound great PK! Get Denise better! Thank You for your time P.K. - these are some of the best podcasts! Give Denise our best. take care!! ttyou tomorrow. keep us updated on denise!! Bye PK! Hope DK starts feeling better! 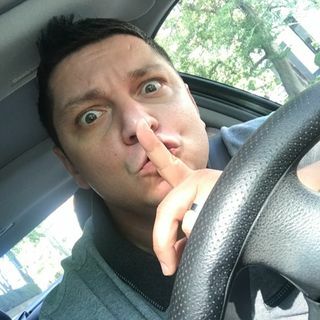 You’re the best for doing a podcast from your car!! K! Let me know how it turns out! @PK--see if the mayor would ever come on! Ash... bookmarked it :smile: going to probably try it this week! Hey Brent... Did you ever look into the fat head dough? sharmah...i told Pk we'll see him Friday.